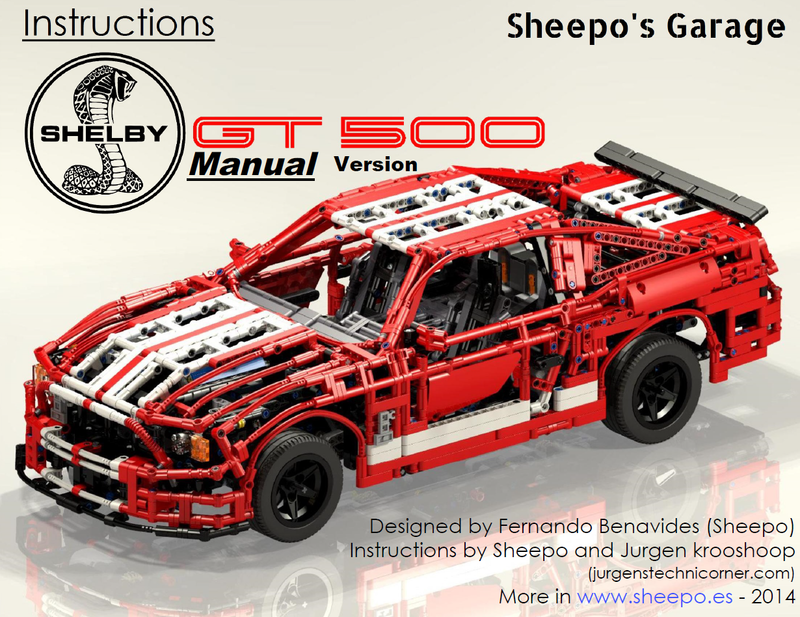 Earlier this month, Sheepo (Fernando Benavides) made available the building instructions for his Ford Mustang Shelby GT500. These were prepared by Sheepo himself and Jurgen Krooshoop, and this time they came in two versions. Before you buy the building instructions, you can download a couple of files made available by Sheepo, and take a look on the parts required to build this huge model. These files include the part list in .bsx format (Brickstore), XML format (BrickLink) and 3 pages with visual format. Some samples to see the quality you'll be getting. Ive seen the full set and these really look like official instructions. Also easy to follow! You can buy the full building instructions from Sheepo for 20€ and 15€, respectively for the RC and Manual versions. In order to make your purchase, you should follow this link to get into Sheepo's website. Finally the video from this Technic Mustang as prepared by Sheepo.